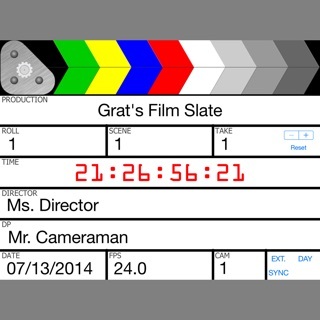 ShotList brings an editable production stripboard to your mobile device to help plan every scene of your shoot. It also tracks your progress on the day, shot-by-shot. Developed in co-operation with an award-winning video production company, ShotList is an essential tool for anyone putting together a scripted movie or video shoot. Store the details, locations and notes for every scene and shot in an easily-viewable form. Break down a script and plan out a multi-day shoot in advance – the app will always be with you whenever you need to make an urgent change, and makes it simple to keep your team updated. • Add, edit, delete or re-order scenes across multiple shooting days, right on your mobile device. • Never miss a vital scene or shot by tracking progress as you go. • Keep notes for each scene, including links for instant dial of critical phone numbers and web addresses (such as location contacts, weather reports, or tide timetables). • Plan shots for each scene, with storyboards, notes, shot type, angle, movement, camera and status. • Keep your team informed by emailing a detailed PDF or oneline schedule to the group, directly from the app. • Use Dropbox to backup your project, or exchange updates with other ShotList users on your team. To learn tips and tricks to get the most from this app, please view the User Guide at Solubleapps.com. The development of ShotList was part-financed by Northern Film & Media. Now allows projects to be saved as XLS, despite including non-english characters in their project name. Over all Great app but could use a few features. Over all I really like this app and its simplistic nature, but could use a few extra features like a gear and prop list to be used in scenes. Also a more in depth cast section. With things like contact info etc. maybe even some more character options like a bio, and a place to put down what drives a character. I know this is just a shot list app but could be helpful as an option. And really could use a Crew Section for scenes too. So you can mark who should be there etc. and one last thing is Time slots for shots..that would be very helpful.. Hopefully the App Creators will see this. Mobile design is always a tradeoff between simplicity, to keep the app usable on mobile devices, and flexibility, to cover the widest range of user needs. Sometimes the hardest part is knowing what to include, and where to put things. Please feel free to email me through the support email in the app if you would like to discuss more. Although this maybe overkill for my modest needs, I found it invaluable for staying organized during a couple of days of shooting travel footage in Paris. It can be so easy to overlook key shots on a hectic schedule but I was able to include screenshots of maps and reference images and then reorganize everything according to location. It even helped me to previsualize my final edit. The app itself feels mature and robust. A lot of thought has obviously gone into it. Highly recommended for a wide variety of video/film shoots. Amazing app! Kept me organized. Great app. Thanks for this. You saved a mind that was spiraling out of control with all the details of a video shoot. Now, I don’t know if this is an easy request: is it possible to add your own photo and when you choose the type of shot (medium shot, close up, etc), have the image of the body be superimposed? It just kinda helps getting the visuals a lot faster. Thanks so much again! Thanks for your lovely comments. I'm so glad to hear that the app is helpful to you. These graphics are intended as placeholders for those who didn't need/want to create more detailed storyboards, to help visually differentiate scenes. The app does allow you to insert any image you like as a storyboard, which could be drawn and photographed or created in an art package on iOS or desktop that best suits a wide range of needs (in addition to storyboards, the feature can be used for location shots, costume ideas, or continuity photos) You could create a library of different shot types with character photos for heads, and then use them to represent specific shots in the app if you wished. In the past I have considered expanding the app to include a simple tool to (say) position representative stick figures to create storyboards, but it could never compete with a dedicated art app for flexibility and features, which is why I chose the most flexible solution. Cheers, and thanks again for the feedback.